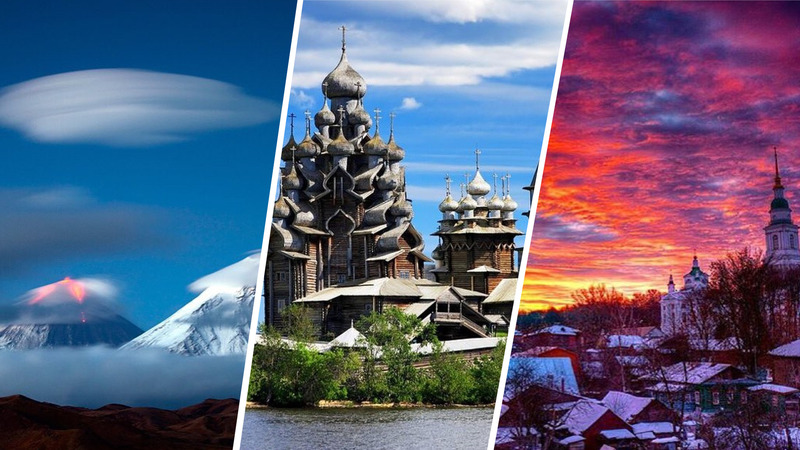 Russia’s diverse landscape is ideal for several extreme, adrenaline-kicking activities. However, heli-skiing down a volcano ranks right up there. Try the hair-raising sport in the Kamchatka Peninsula located in the Ring of Fire, which has several active volcanoes. Helicopters drop guests on the peaks of mountains, some of them volcanoes, from where skiers glide down the slopes on fresh powdered snow right up to the edge of the Pacific. Feast on Russian cuisine, especially the lesser-known dishes from northern Russia in Moscow’s Severyane, which is decked out like a magical version of a Siberian hut. It dishes up the likes of blini and pike caviar, that are best washed down with vodka. For a taste of Tsarist Russia, Palkin in St. Petersburg should do the trick with its history that goes back to the 18th century and a menu that comprises of Russian classics. Surrounded by Mongolia, China and Kazakhstan, the Altai Republic is among Russia’s lesser known regions and filled with stunning natural beauty in the form of snow-capped mountain peaks, river gorges, canyons and brilliant blue lakes. The best way to explore the area is to trek, preferably in summer. Especially rewarding is the area around Mount Belukha with its incredible waterfalls and glaciers. Dubbed the Russian Riviera, Sochi is Russia’s answer to the spa and wellness centres of the world. Located in the heart of Sochi is the imposing RODINA Grand Hotel & SPA, which overlooks the area’s Mediterranean-style landscape and ambience. Set amid cedars and maples, and gorgeous carpets of flowers, the hotel’s luxurious spa is a haven of tranquility and relaxation. Considered to be among the largest spa areas in Europe, it offers a range of treatments and several allied activities. Have you ever been to a place brimming with history? If you think that sightseeing in Moscow is only about the Kremlin, then you're in for a surprise at @hotelbaltschug! #Kempinski #HotelBaltschug #Russia #Moscow #Culture #Architecture #LuxuryTravel Don't forget to tag your images with @kempinski for a chance to be featured on our social media accounts. Overlooking the Red Square, Moskva River and the Kremlin and with fabulous views of the onion domes, Hotel Baltschug Kempinski Moscow has an enviable location on its side with a fabulous late 19th-century facade to boot. The interiors of the hotel – steeped in classy luxury – match the location and pamper guests with its timeless elegance. Related: This Village In Russia Is So Cold That It Actually Broke The Thermometer!